Portality is a mod that I made for Modjam 5 and it allows you to create your own portals and use them to travel and transfer anything using them! A 5x5 hollow of frames and the controller will sit in the bottom row center of it. Then you will need to make it 3 blocks deep. (You will only need to add a controller in the first row). The controller will need power to operate! Then you can open the GUI and handle Portal calls from there. 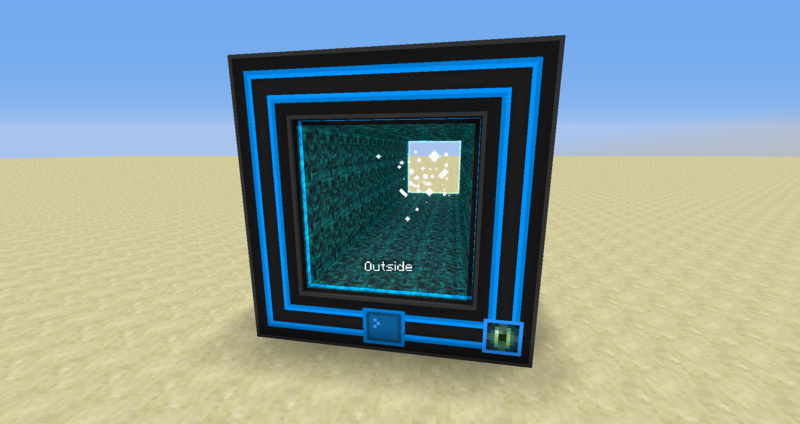 That portal can't do interdimensional teleports, for that you will need an Interdimensional Module placed instead of a Frame Block.You can change the icon of a portal of how by Shift+Right Clicking with a block in your hand. There are different types of modules that can transfer items/fluids/energy between connected portals. Just make sure the they have the correct type for input and output! 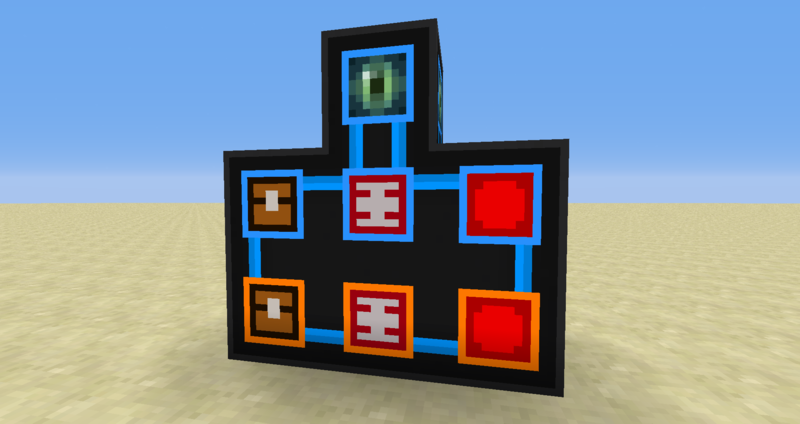 When the modules are present they will transfer stuff from the input type to the output type, you can connect any pipe to them but they won't pull or push anthing. They dont have a GUI but they have a small buffer. how do i add power? Can enteti like mobs pass to the portal ?? 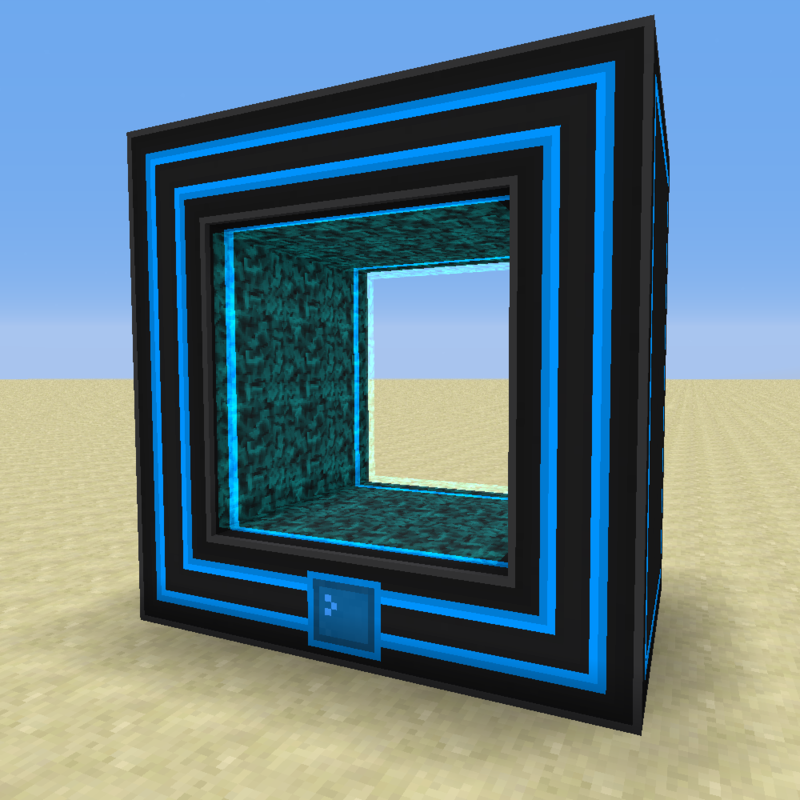 Can you please make it that you can build portals vertically? I came here to ask exactly this- it's not an absolute necessity, but it sure would be nice for certain builds. 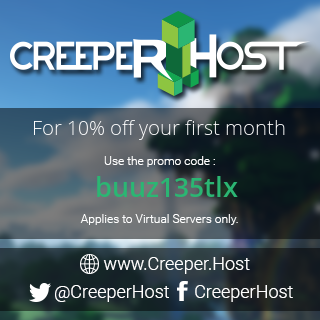 how do i get a link to be active ? yeah english is not my main language, i can write sometimes good english but most are not good. Can i suggest some few thing in your mod? Can you make it that a portal can only be dialed by a selected portal? Like "Portal A" can only be dialed by "portal 1"
now portal 2 and portal 3 cannot or impossible to dial portal A. What I want to happen is I want to create a special location for this portal that it is the ONLY way to go there. I believe it is very usefull for others too so please give feedback to my suggestion. What in the hell does the "3 blocks deep" this mod is talking about???? I dig down 3 blocks to place the controller,I even place the entire portal 3 blocks deep but it still keep saying needs to be 3 blocks deep!!! Seriously nothing happen, I powered the portal using simple generator it is ok, but still keep on saying needs to be 3 block deep! O God! It doesn't refer to building it underground. It means that the 'tunnel' is 3 long, the sides are 5 tall/wide. I assume English isn't your first language (not trying to be insulting), because 'x deep' for the length of something is a common phrase, such as when there's a line/queue of 10 people 'the queue is 10 deep'. 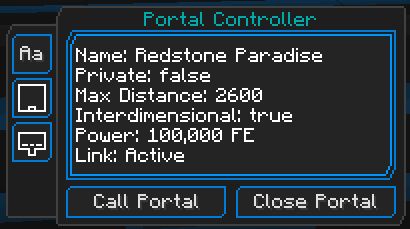 I haven't used it yet, so I don't know for sure, but I assume any mod that generates RF or an RF-compatible energy would work, but you power the portal controller block rather than the energy input (energy input is for sending power through the portal to somewhere else, not for sending power *to* the portal). 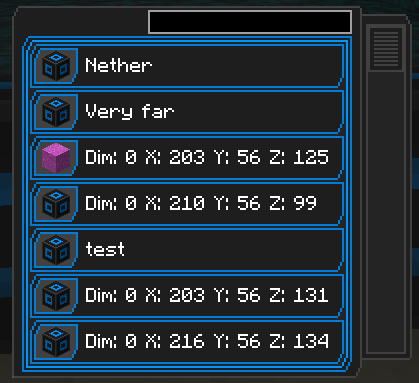 EDIT: 'RF-compatible' such as EnderIO for example, or RF itself (or FE/Forge Energy, which literally is just RF under a different name) from Immersive Engineering, Industrial Foregoing iirc, Thermal Expansion, etc. How do you power it? Late, but in case someone else comes looking: You need to power the portal block, not the Energy Input block. That one's for transferring energy between portals.